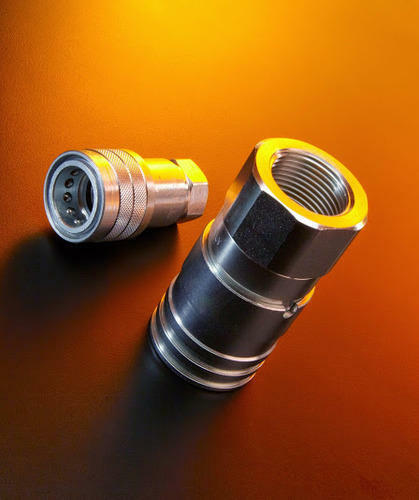 Our range of quick release couplings are designed to make life easier for operators who need to connect and disconnect equipment quickly and easily. We stock popular ranges such as ISO A, ISO B, Flat Face, Screw Type, trailer break and tipper couplings up to 700bar to name just a few. They are available in both mild and stainless steel. We, "All Swage Hose And Fittings Private Limited" established as one of the glorious Trader & Supplier of an unlimited collection of Hose & Fittings. Our product collection comprises of Hydraulic Hose Pipe, Hydraulic Adaptor, Ermeto Type Fittings, Swagelok Type Fittings, Low & High Pressure Hose, PTFE hose, Thermoplastic Hose , Industrial Hose , Composite Hose, Pneumatic Cylinder , FRL Units, Solenoid Valves, Tubings & Push type Fittings Etc. that can be availed in multiple specifications to cater to the varied customer requirements. We are backed by a world class infrastructure that is equipped with modern and advanced technology that supports us with the hassle free manufacture and storage of the preferred product assemblage. To manage the string of operations, we have hired a team of experienced professionals that is proficient in its respective fields and strives to understand & fulfill the exact needs of our clients. We are the preferred choice of our customers for offering outstanding product assortment and flexible services. It is because of the consistent efforts and undivided dedication that we have garnered a large number of customers in the industry. We have our vast clientele from all across the globe. We are a Private Limited Company under the capable leadership of "Mr. Huzefa Bhattiwala", we have created a sophisticated niche for ourselves in this highly competitive market. His brilliant managerial skills and zeal towards attaining the organizational targets within the deadline have enabled us to muster a large number of loyal patrons in our clientele.